A waterproof mattress protector that's super soft, and comfortable enough to be used as a bottom sheet! 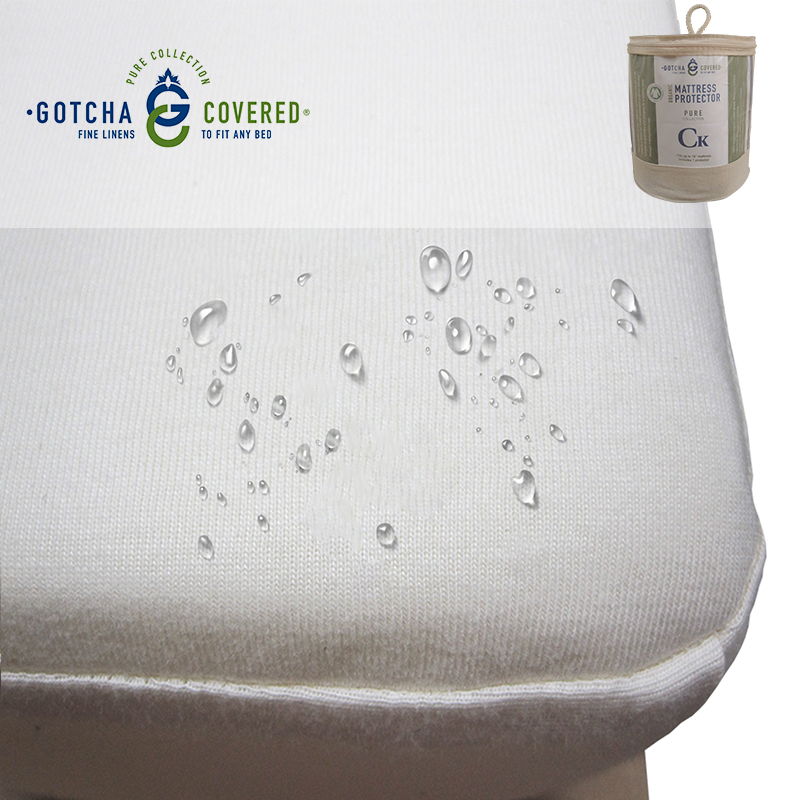 The Gotcha Covered organic mattress protector is made from 100% GOTS (Global Organic Textile Standard) certified organic cotton jersey, that feels just like your favorite t-shirt! The 100% waterproof recycled polyurethane film is non-toxic and inert so it won't leach chemicals or toxins making it the most eco-friendly and safest of all waterproof barriers on the market. Regular Profile up to 14"
Deep Profile up to 18"
Regular Profile up to 18"
Soft and comfortable enough to be used as a bottom sheet. 100% GOTS (Global Organic Textile Standard) certified organic cotton jersey, that feels just like your favorite t-shirt! The 100% waterproof recycled polyurethane film is non-toxic and inert so it won’t leach chemicals or toxins making it the most eco-friendly and safest of all waterproof barriers on the market. 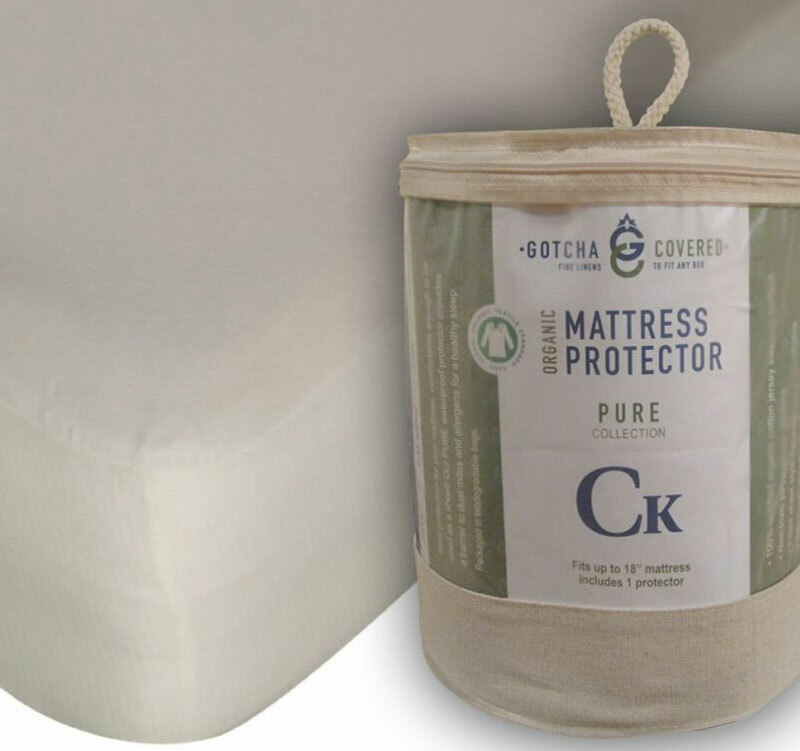 Protects mattresses against dust mites and perfect for anyone with sensitive skin or allergies. Proudly made in the USA.